An indoor park is under construction in Edinburgh and is due to open in January 2008. Transgression Park is the latest initiative to come out of the EHX team. It’s an Urban FreeSport destination catering for all your urban and ‘extreme’ sporting requirements. The park will open in January 2008. 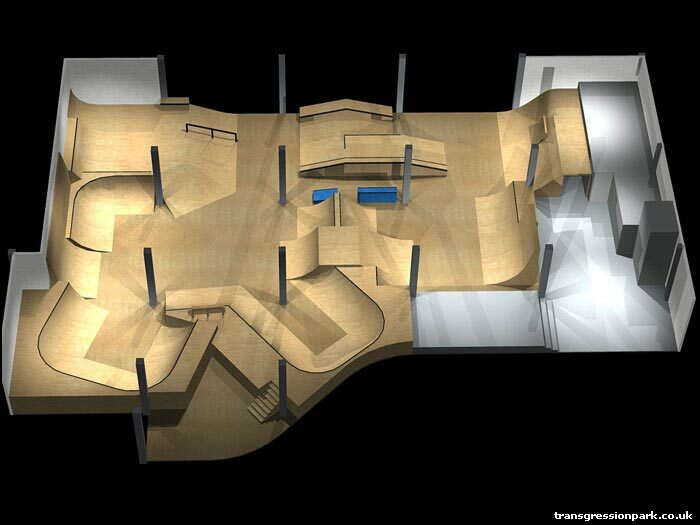 Initially the park will consist of an indoor skatepark, a breakdance area, a café and a shop. However as we get going we will be introducing free running, tricking, trials, a stunt school, an airbag and anything else you tell us you want to see (within reason!). The park was designed by Scotlands pro BMX rider Dave Sowerby. Dave was also behind the design of Penicuik Skatepark. We think he’s done a pretty neat job incorporating street and ramp features for BMX, Blades and Skateboards into the 9020 sq ft floor space.